I am a huge fan of creating home made ornaments for the Christmas Tree. I love the memories that each one brings to mind and the fun that we have creating them together as a family. My kids have an absolute blast making holiday crafts and hanging them on the tree each year. I like to hold on to a bit of a creative vision and often suggest making ornaments that I know will coordinate and work well together. These are all hanging together on our tree this year. Today I am sharing ten of our favorite hand crafted ornaments that are simple to create and fun to make with the kids. Starting off with one of my all-time favorites this, Reindeer Embroidery Hoop Ornament. 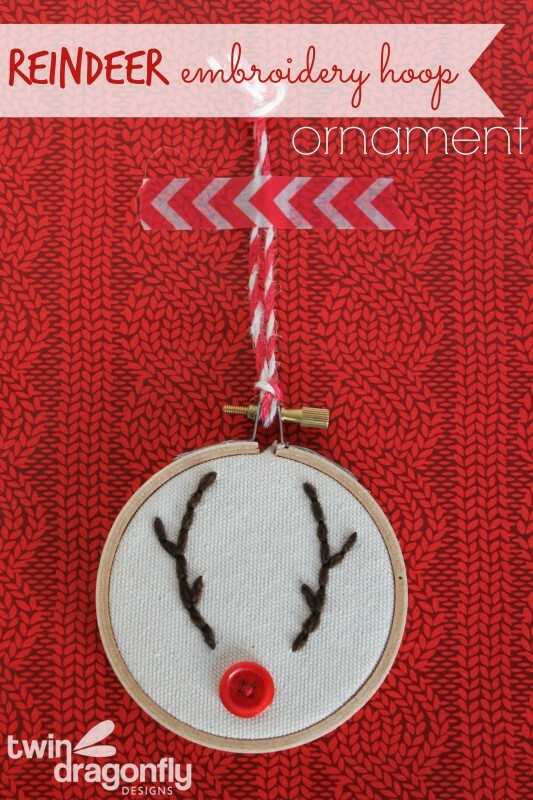 A button, a bit of yarn and an embroidery hoop were used to create this adorable reindeer. 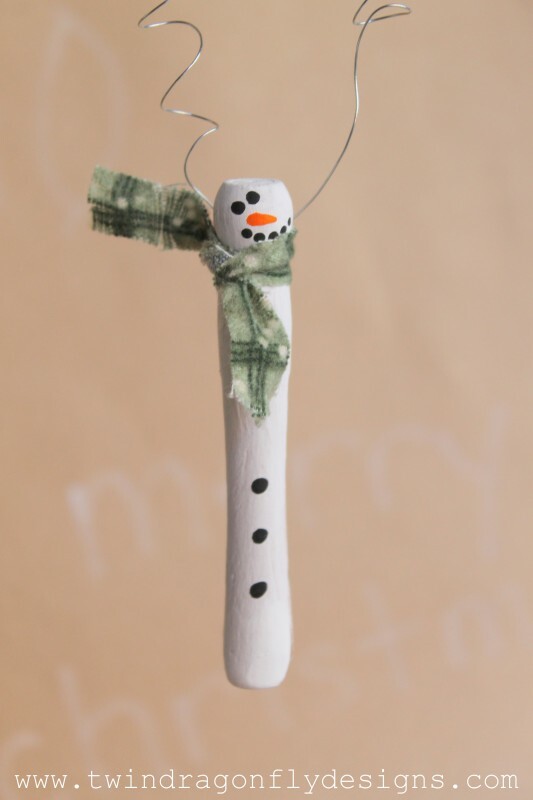 Wooden Peg Snowman Ornaments are a classic Christmas craft and one that my grandma introduced me to. 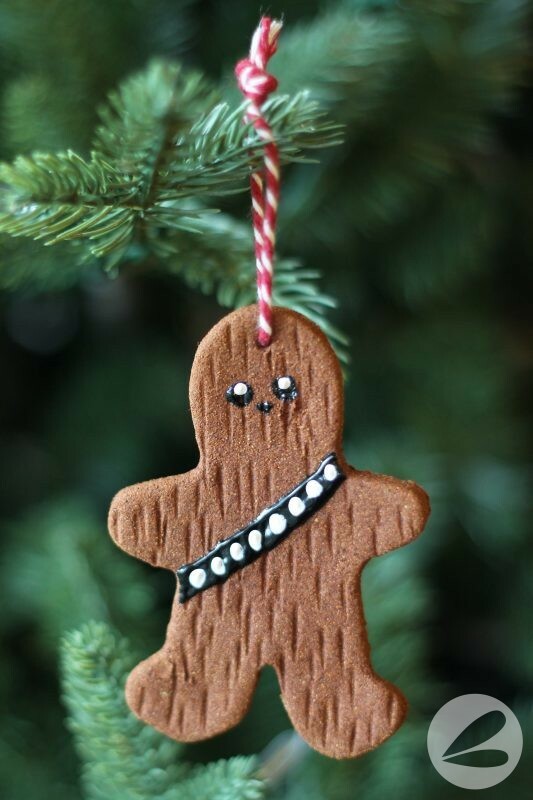 These apple cinnamon Chewbacca Ornaments are perfect for the Star Wars nerd in the family. 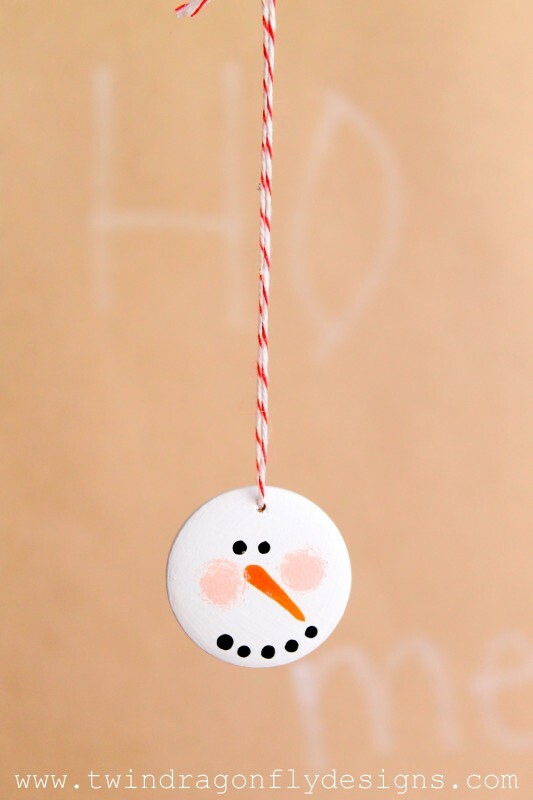 Snowmen Ornaments are perfect for making with the kiddos because they are so simple to paint and look adorable! 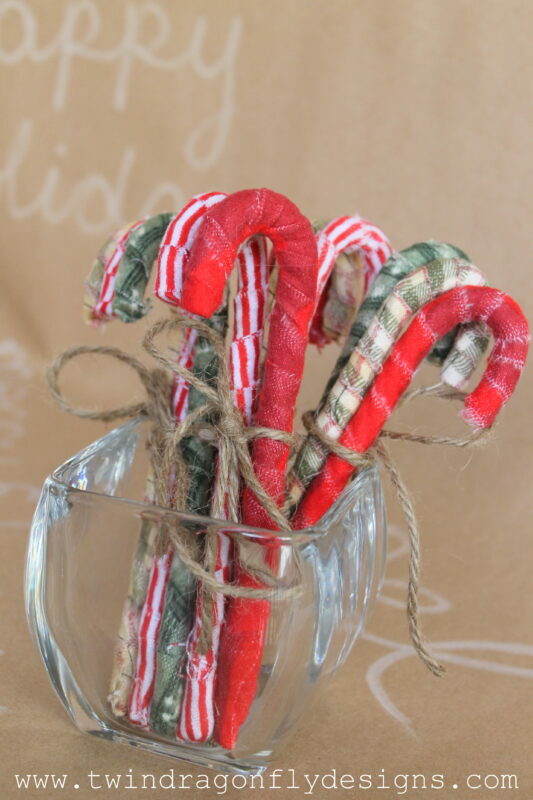 These Rustic Candycanes are a great craft project for using up those scraps of festive fabric that you may have lying around. 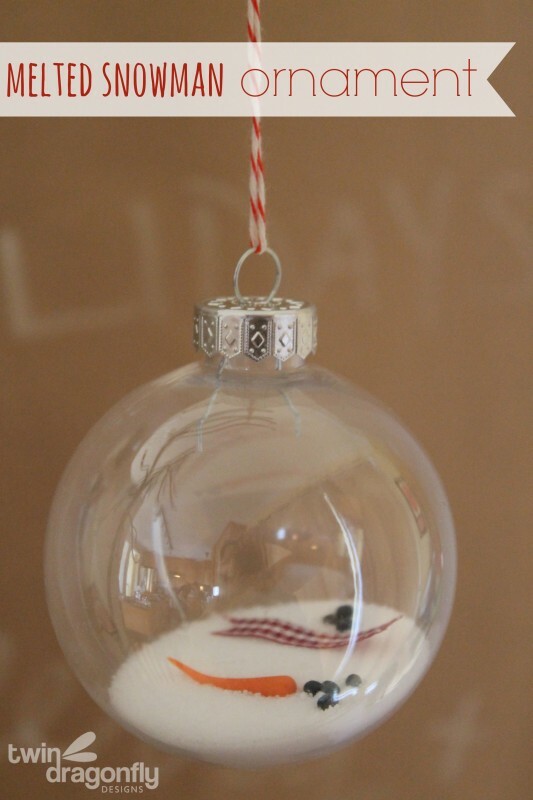 This Melted Snowman Ornament is a favorite of my boys. They love to create and sell these every year! 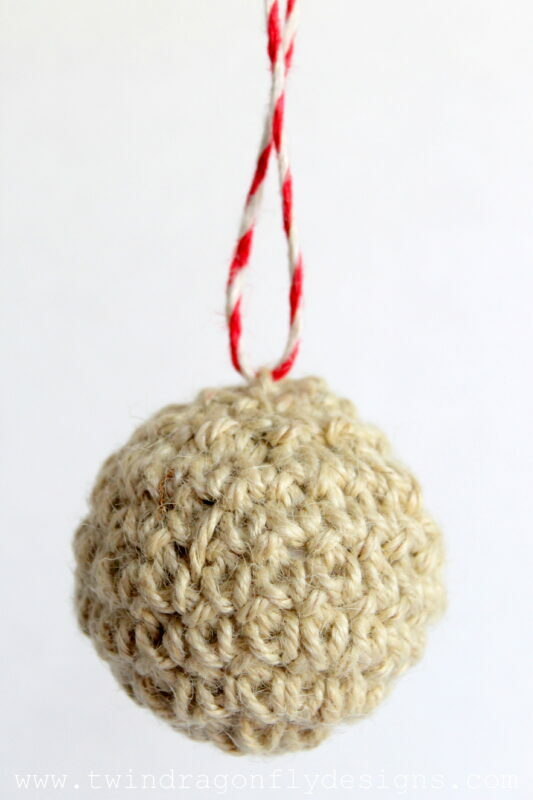 I love the texture that these Crochet Ball ornaments bring to our tree. Do you have a wine drinker on your Christmas list? 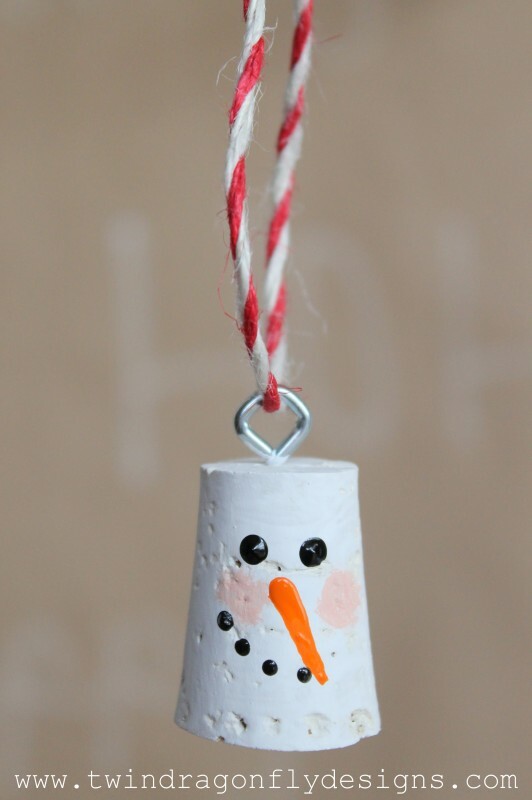 Make them this Cork Snowman! 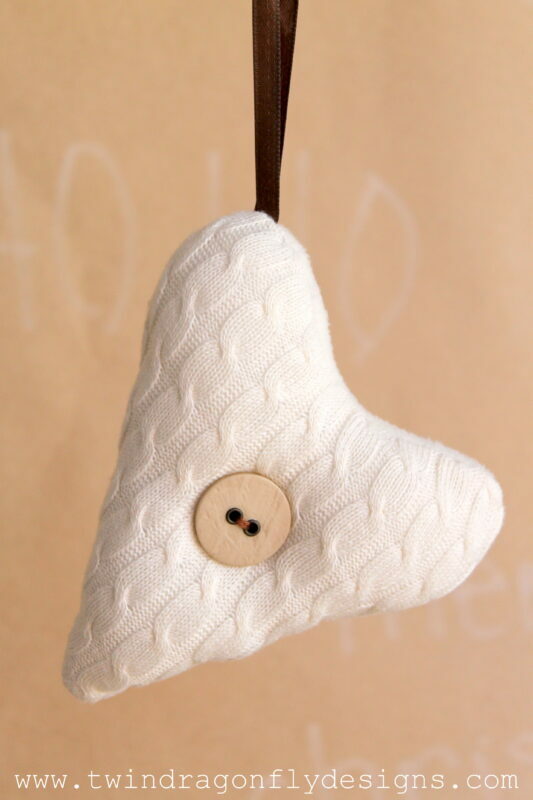 These Upcycled Sweater Ornaments require a little bit more work and sewing skills but the finished product is so worth it! 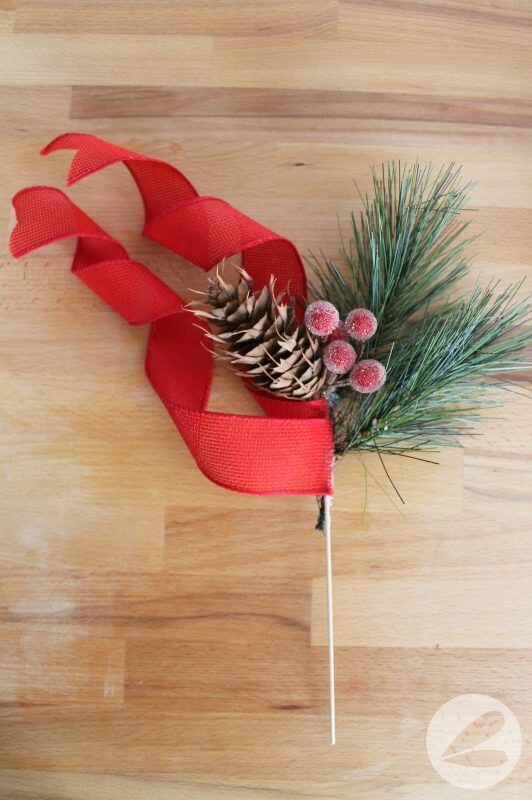 I absolutely love these Holiday Ribbon Picks for adding a pop of colour and texture to our tree. 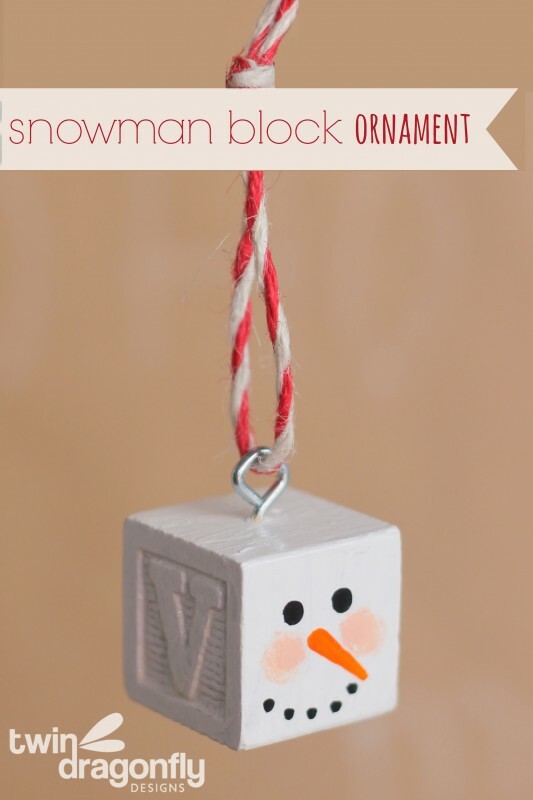 Another cute snowman ornament if you have a few alphabet blocks laying around. Check out the Alphabet Block Snowman tutorial. 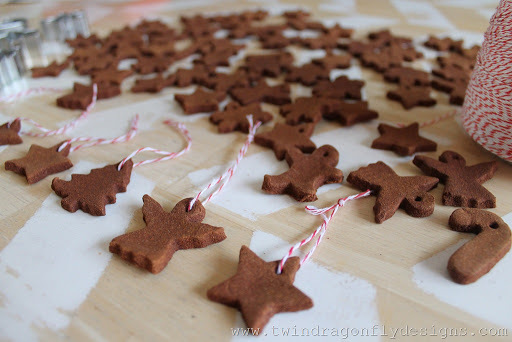 These mini Apple Cinnamon Ornaments are ones that we create year after year. I hang them on everything! 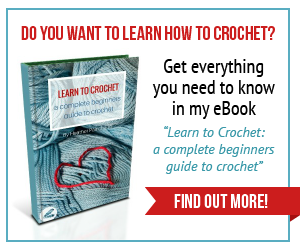 Including Christmas gifts and cards. Okay so that was more than ten hand crafted ornaments! 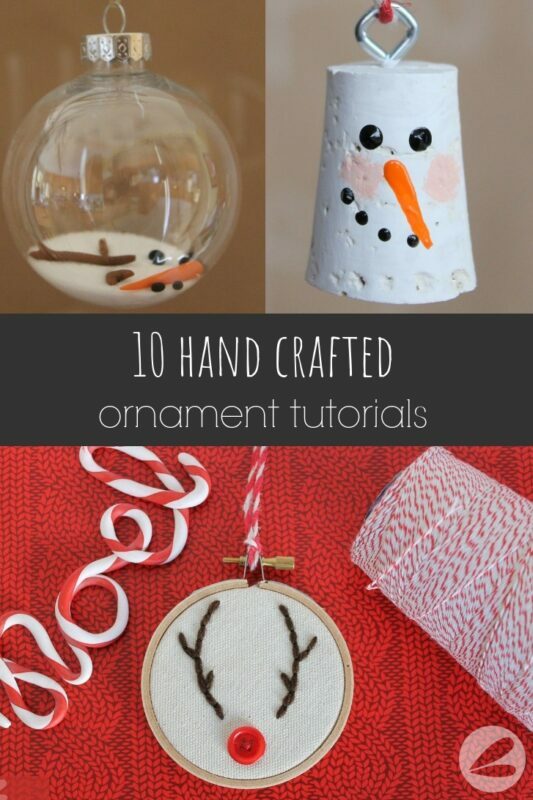 And if you search “Ornament” on the blog you will find a ton more! Which one of these hand crafted ornaments is your favorite?